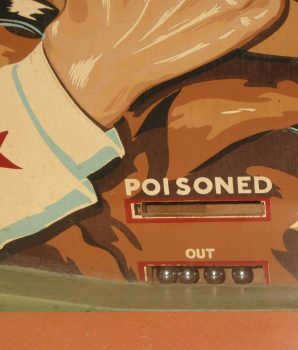 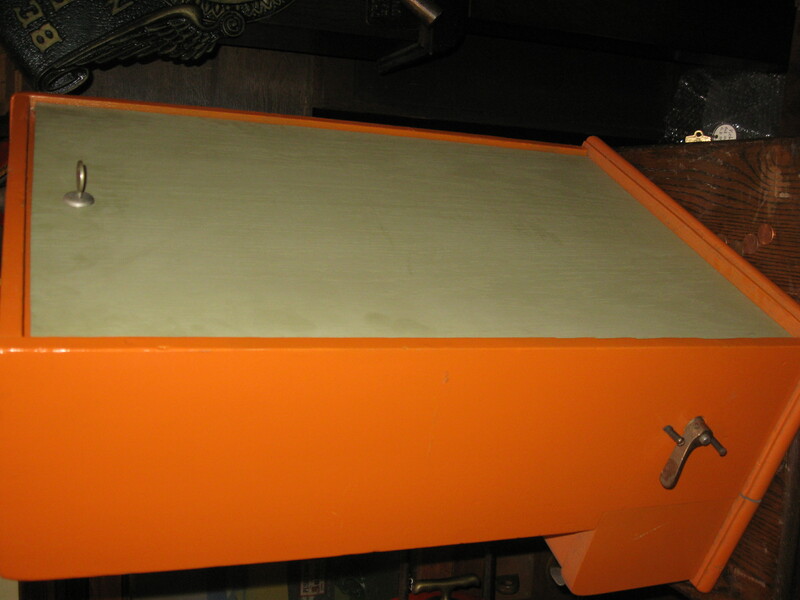 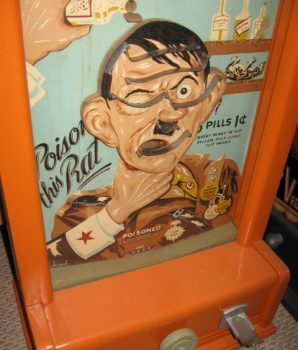 Authentic Poison This Rat Hitler Flipball Arcade Machine manufactured by Groetchen Tool Co. circa 1940s. 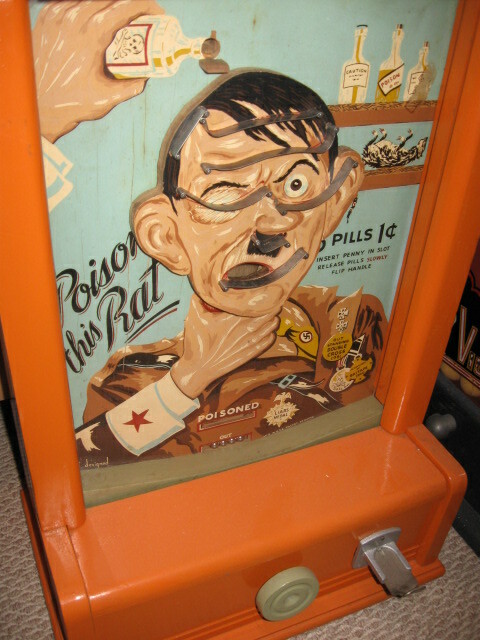 Excellent condition original World War II countertop game flip ball style. 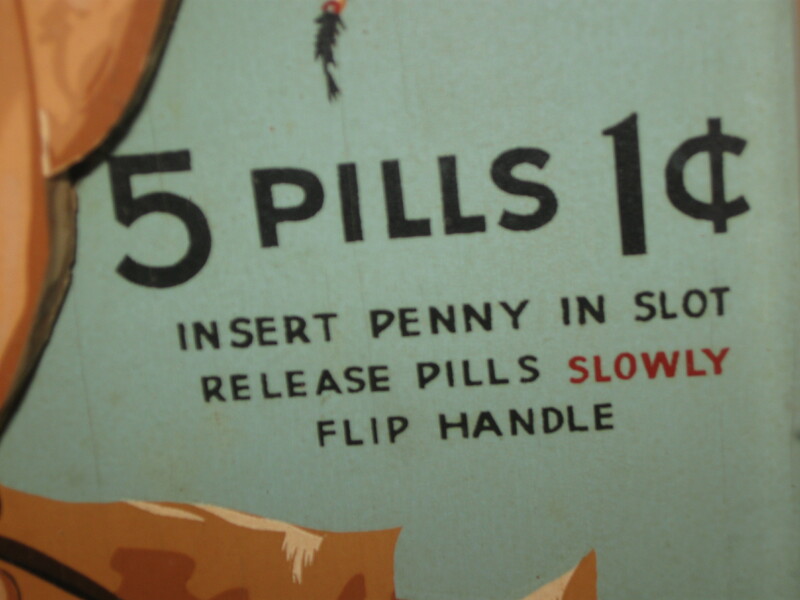 Adolph Hitler graphics. 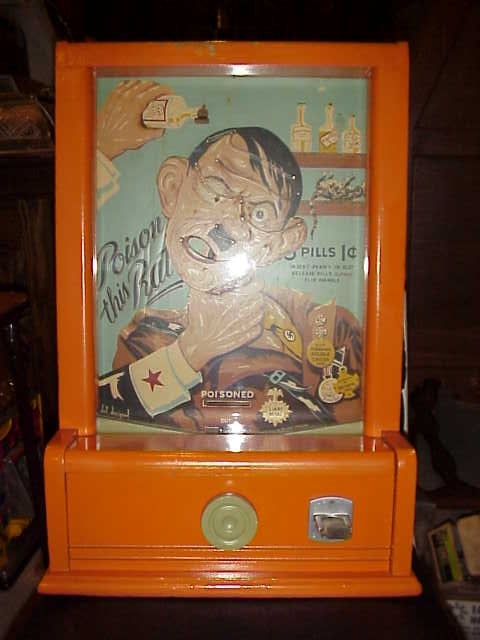 The object of the game is to insert pill balls into the mouth of the moving Hitler head. 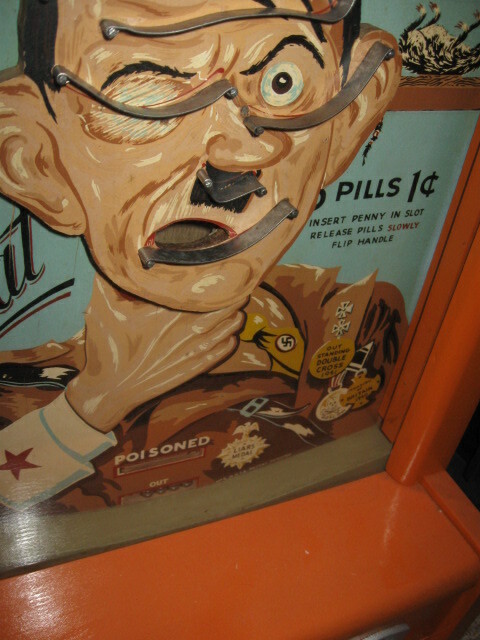 To operate pinball arcade machine, input 1 cent (penny), and control knob to turn Hitler’s head. 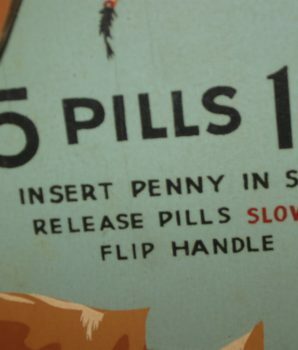 Flip handle. 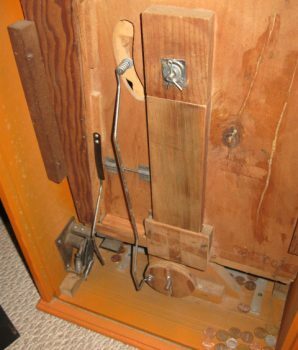 War Bonds Trade Stimulator by Groetchen Tool MFG. 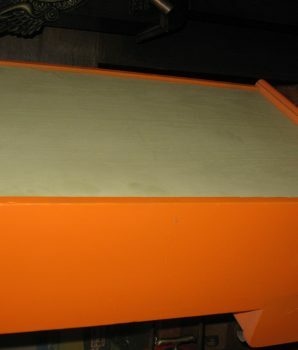 Co. Includes keys. 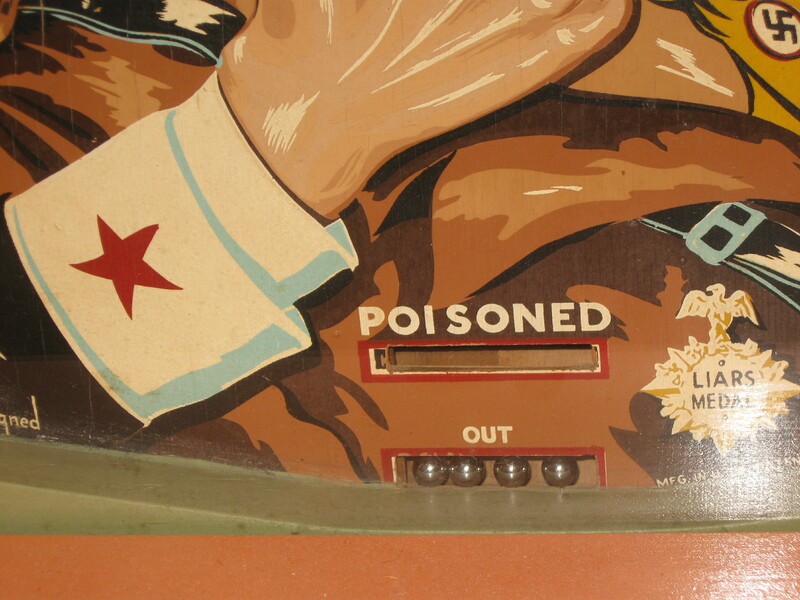 Machine slogan include “Poisoned”, “Liars Medal”, “Outstanding Double Cross 1941”, “Invasion of Britain 1940”, “dot designed” “mfg in USA patent pending”. 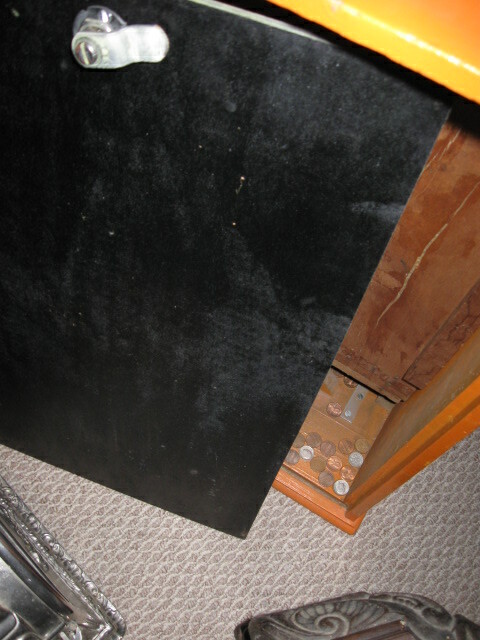 In working condition. 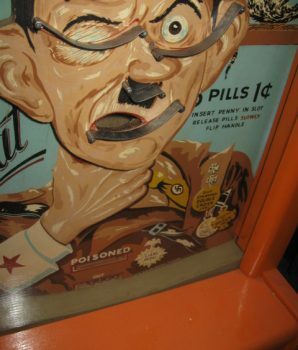 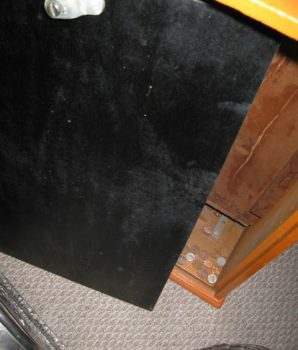 Original One Cent Countertop “Poison This Rat” Hitler Skill U.S. 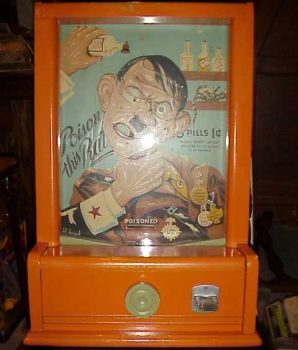 Antique Collectible c 1940 (Excellent condition).